The Volvo 940/960 range was introduced in August 1990. The new 940 replaced the 740 which, however, remained in production as the basic 740 GL model. 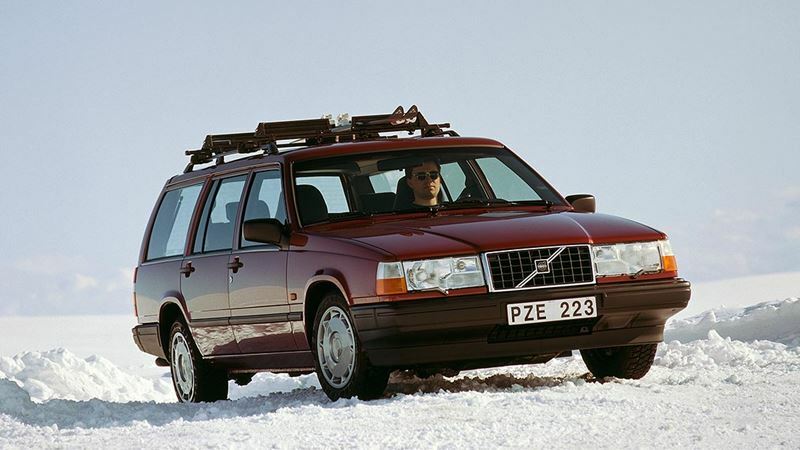 The Volvo 940, which resembled the 960, was powered by a choice between several 4-cylinder petrol engines, with turbocharged units taking an ever-increasing market share. Some markets also offered the option of a 6-cylinder turbo-diesel. The Volvo 940 also launched a number of new safety features. Together with its luxury sister car the 960, a three-point inertia-reel seat belt was fitted as standard together with an adjustable head restraint in the middle of the rear seat, heralding a world breakthrough for these features. Furthermore, an integrated child seat built into the rear seat's middle armrest could be specified as an option as of autumn 1992. Volvo's safety-enhancement efforts were rewarded with several international awards, among them the "Prince Michael Road Safety Award" and the "Autocar & Motor" prize for the best safety features. Overall length 481 cm/189.4" Wheelbase 277 cm/109"